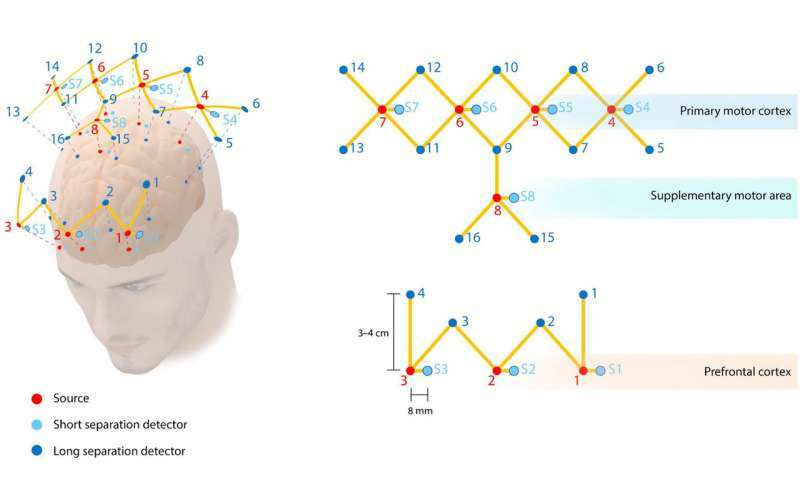 A team of researchers affiliated with several institutions in the U.S. has developed a way to test surgical competency by using brain imaging technology to analyze the brains of surgeons in action. 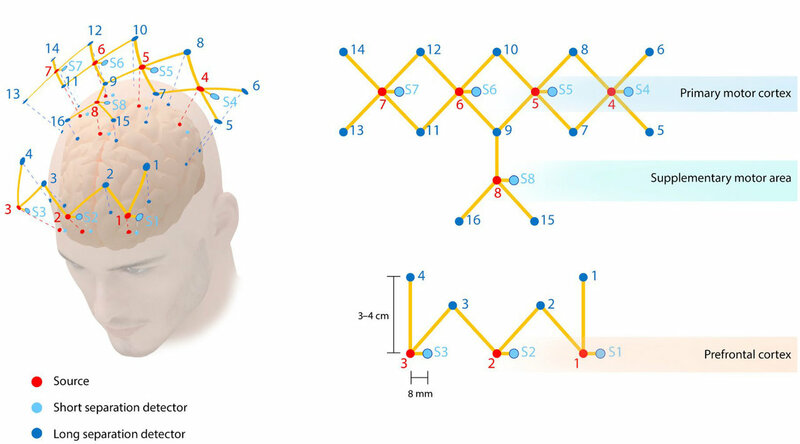 In their paper published in the journal Science Advances, the group describes the system they developed and how well it worked when compared with current methods. 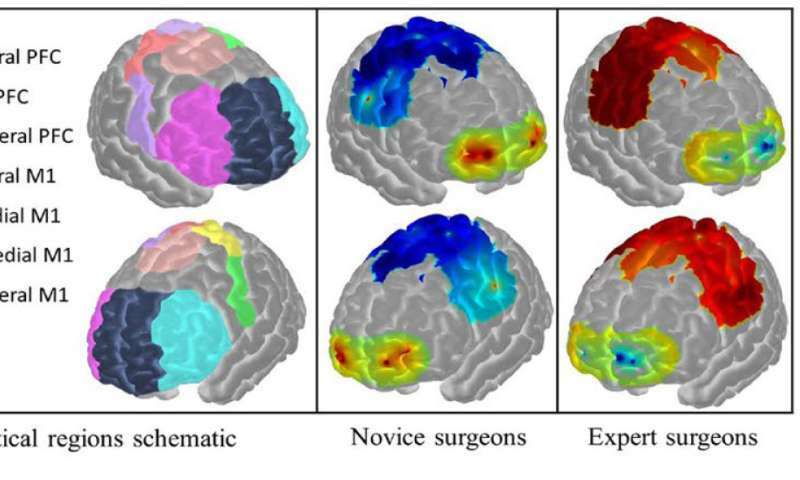 Assessing the skills of people learning to be surgeons is a difficult task, but it is also necessary to make sure they are competent before operating on people. Currently, it is done by instructor surgeons watching students in action and assessing their abilities—and by students taking tests on simulators. 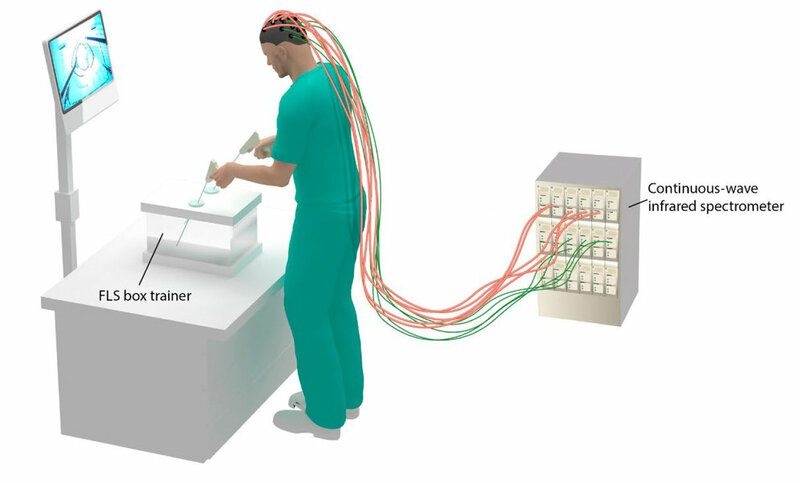 In this new effort, the researchers have taken an entirely new approach—using brain imaging equipment to study the brain of a person engaging in a surgical simulation. Prior research had shown that the brain behaves in specific ways when people are engaging in activities that require a high degree of motor skill—at least for those who have become really good at such an activity. More specifically, they noted that individuals with high levels of motor skills have been found to have certain brain characteristics related to things such as how the brain regions are connected, motor dysfunction, level of cognitive function, motor action, perception and multitasking. These findings led to the idea that the process could be reversed—using brain imaging equipment to see if a person engaging in a difficult motor skill task had brain activity that resembled the brain activity of highly skilled people. To find out if such an approach might work, they enlisted the assistance of multiple volunteers with one of four levels of expertise: expert surgeons, beginning surgical students, medical students with training and medical students without training. Other volunteers served as a control group. Each of the volunteers was asked to carry out a surgical procedure on a simulator while attached to a functional near-infrared spectroscopy (fNIRS) system. The researchers report that their system showed that expert surgeons had far more advanced motor skills than people in the other groups. They also found that as students were trained, their motor skills became more apparent. They conclude by claiming that their system was more accurate than current methods used for board certification of surgeons.